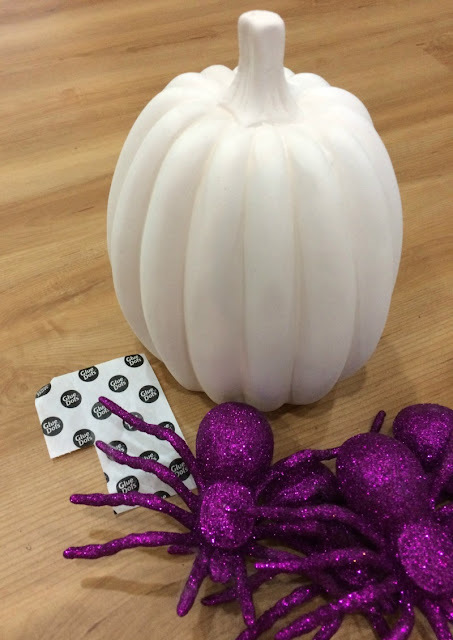 I am partnering with Oriental Trading to bring you 3 DIY ideas for decorating a ceramic pumpkin for Halloween. I received product in exchange for this post, but all thoughts are 100% my own. Fall is here, so it is time to pull out everything pumpkin for my decor! 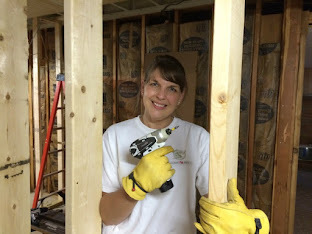 Since we finished our basement renovation, I now have two mantels to decorate! 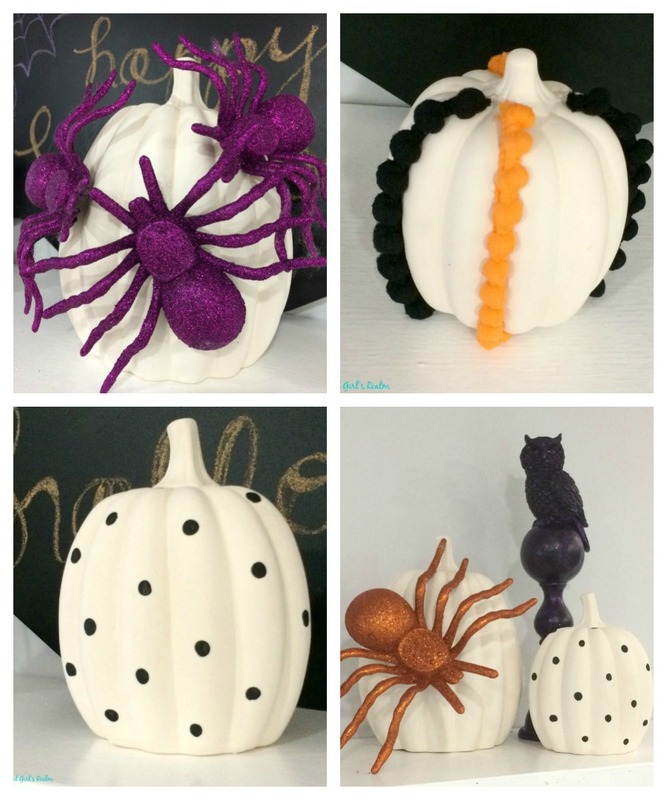 I decided to use fall decor on the upstairs one and Halloween decor on the one in the basement. 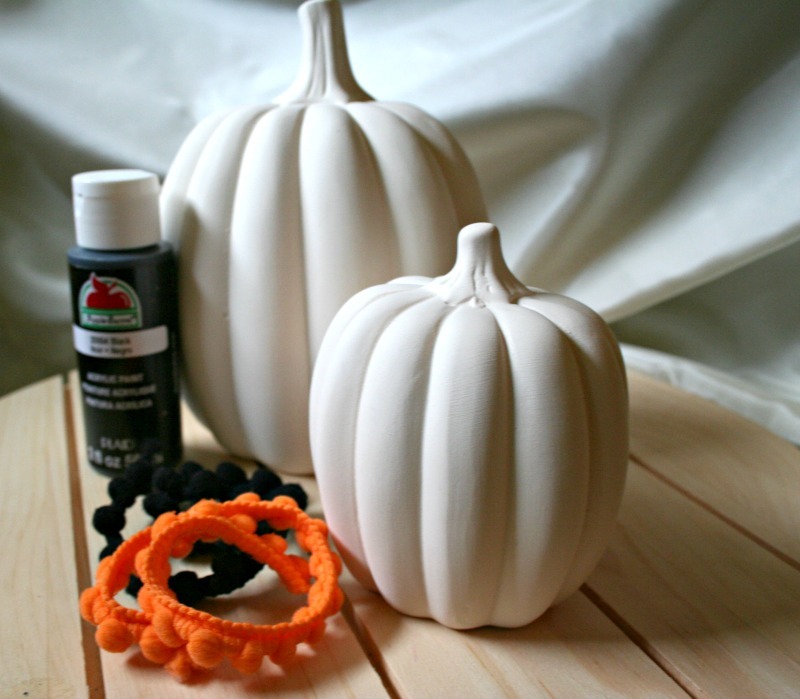 I picked out a set of three ceramic pumpkins from Oriental Trading and came up with three different ideas for decorating them. 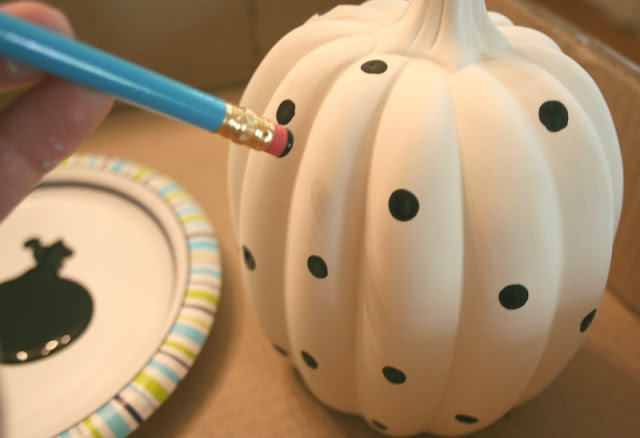 I squirted a small dollop of the black paint onto a paper plate and dipped the eraser into the paint. 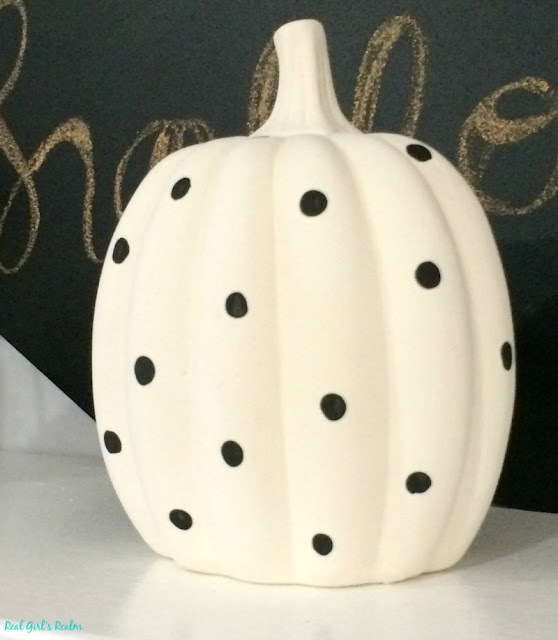 I used the eraser to paint polka dots randomly on the medium sized ceramic pumpkin until it was covered all the way around. 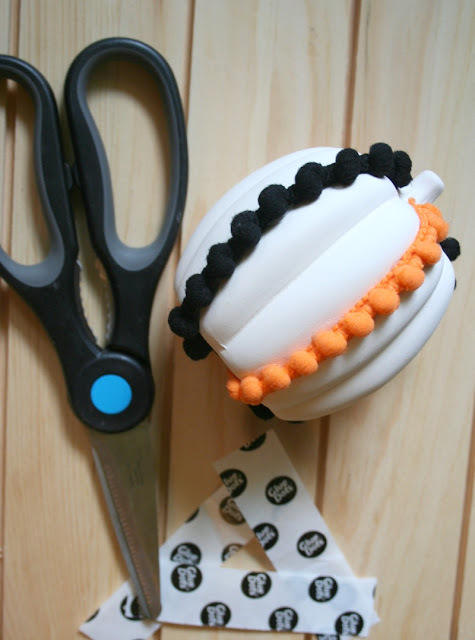 I had a couple of pieces of black and orange pom pom trim leftover from the Popcorn Box Challenge I participated in last year and thought it would be perfect to decorate the small ceramic pumpkin. I cut the trim so I would have 4 pieces. 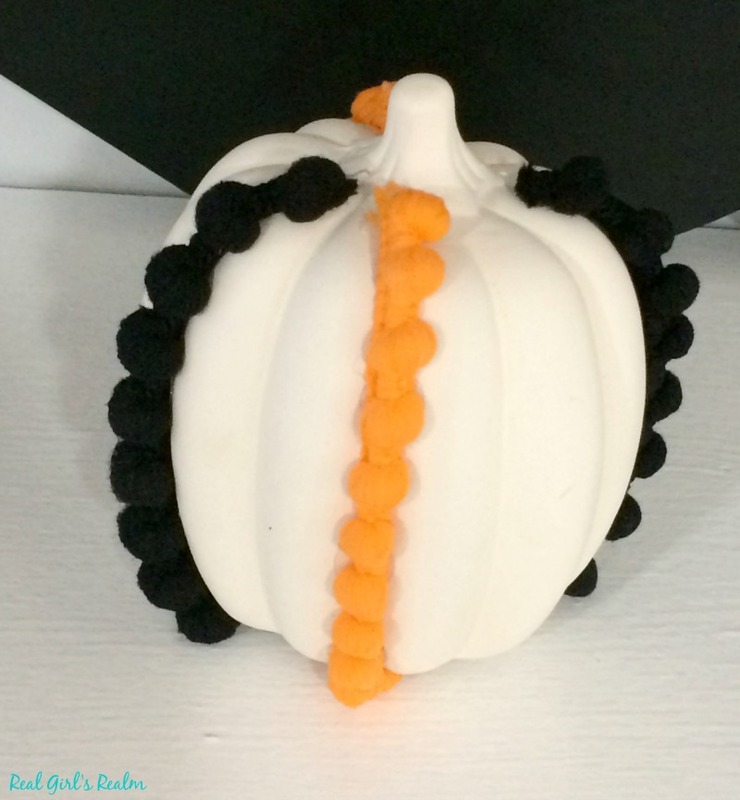 (2 orange and 2 black) I then used the Glue Dots to attach the trim vertically in the creases of the pumpkin; I tried to space it evenly as possible. You could also use a hot glue gun, but I had a pack of glue dots on hand, and that allows me to change it up later. 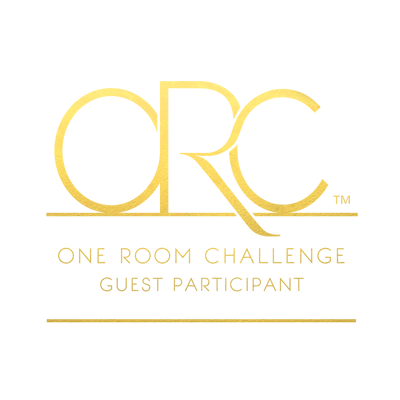 This one was the easiest! I simply used 2-3 Glue Dots on each spider to randomly attach them to the pumpkin. 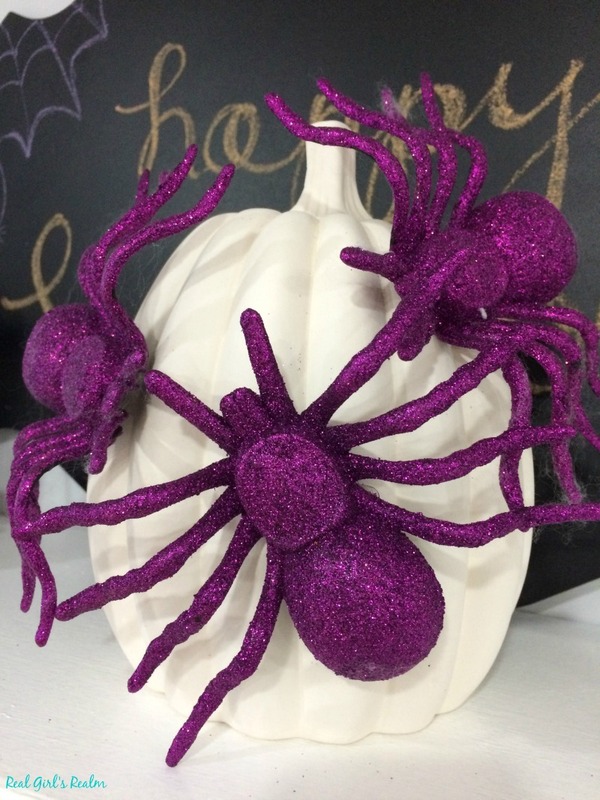 How would you decorate these pumpkins? 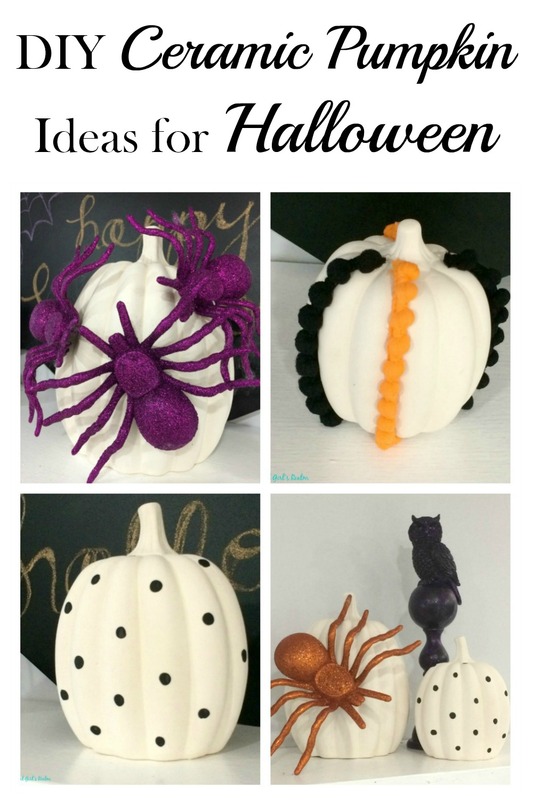 PIN this to your Halloween Board!